What do you do if you feel your Classic car’s under bonnet temperature gets too high? 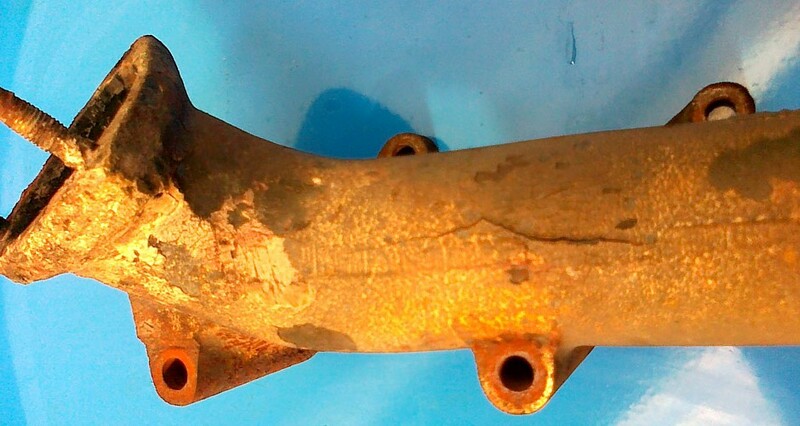 We would say DON’T whatever you do wrap the exhaust with so called ‘thermal insulation’ tape – and so would the owner of this hideously cracked Rover 2000 manifold. An excellent, forward-looking 1960s design, the P6 was stylish, safe, reliable and in base form made with the same reliable, cast iron manifold for 23 years but all it took was a few weeks use to overheat and split this car’s manifold when wrapped with the evil thermal tape. Whilst we knew about the near certainty of disaster from years of experience, the poor owner didn’t and by the time we met him his normally well-bred car sounded anything but. A costly new manifold later and all’s well again. Classic owners – you have been warned!